We have some amazing news for all of our brides. Our second award winning boutique is opening. Our new luxurious boutique will be opening in Old Portsmouth on Wednesday 24th January 2013, this stunning location in the heart of the most famous part of Portsmouth where Charles the first was married, this area is steeped in history. 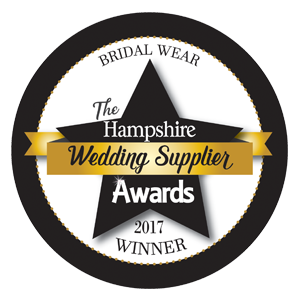 The boutique will be offering our brides the individual service that we have won many awards for.The experience is all about you. The decor will be full of chic glamour, hand crafted seating area in plush velvet, a new dynamic colour scheme which will feel like you are in the most glamorous hotel lobby, and not forgetting that glass of bubbles when you arrive.